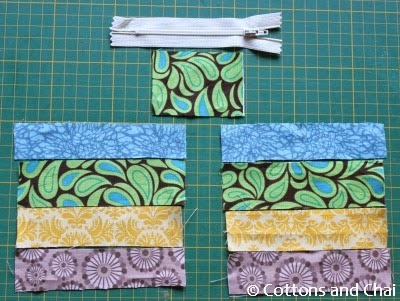 1) Few strips of fabrics 5" * 1.5"
I started by sewing the fabric strips together to create the outer panels of the purse. Then I pressed the seams open. 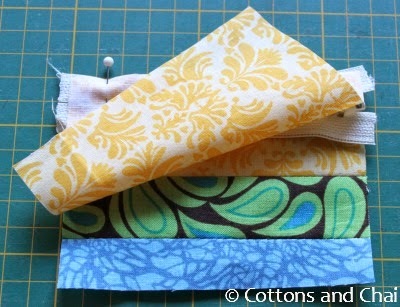 Next I folded the loop fabric scrap in half lengthwise and pressed the crease. 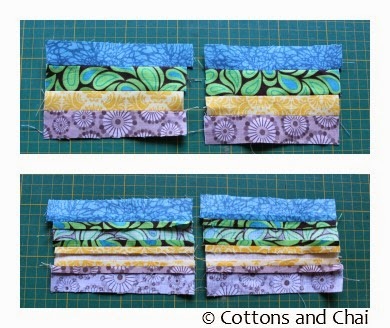 After opening it up, I folded the two long edges towards the crease and folded in half once more and sewed the edges to create the loop. 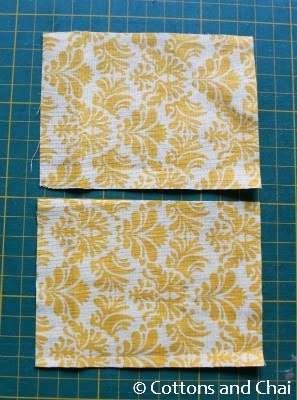 Then I trimmed the outer panels to 4.5" * 4" and cut 2 lining pieces the same size. Next I made a sandwich by placing zipper and one outer panel rights sides together, then placing on lining on the zipper wrong side up and sewing across it. 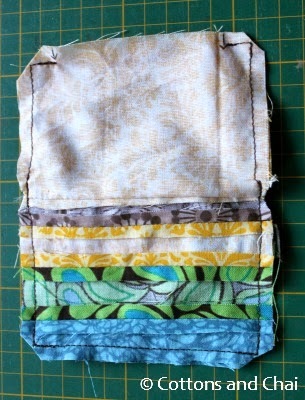 Then I opened it up and top stitched together. I then placed the other outer panel ride side, place the zipper on it wrong side up and then the other lining panel wrong side up and pinned together. 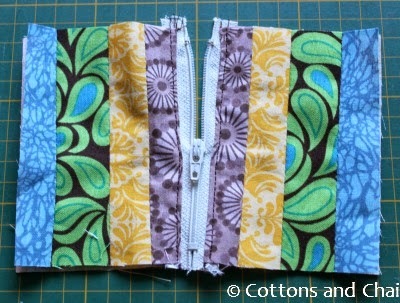 After sewing across the top, opening up and top-stitching over the zipper, here's what I had. Next I made sure the zipper was half-way open and pulled the lining panel to one side and outer panels to the other side, right sides together. 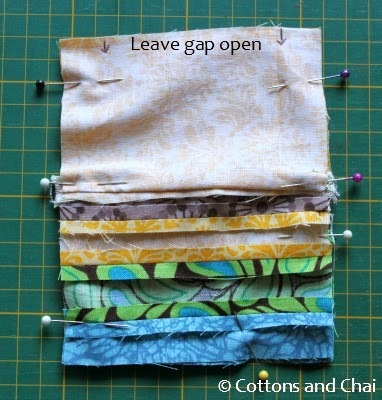 I placed the loop between the outer panels and pinned all around and marked a gap about 2.5" on lining edge. 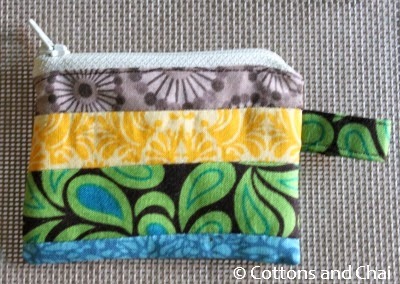 Then I sewed all around with 1/4" seam allowance, while leaving the top gap open for turning the purse inside out. Also I cut the corners out to reduce bulk after turning. 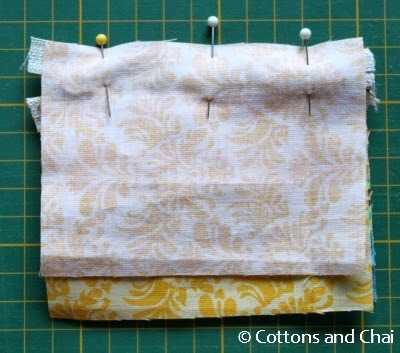 After turning it inside out I sewed the opening in the lining closed. 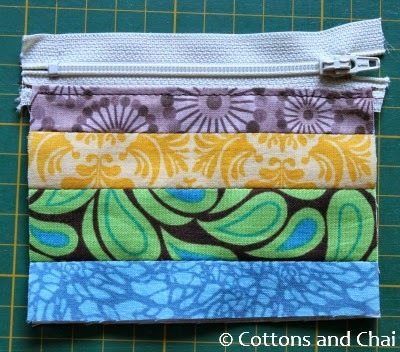 And here's the little purse ready to get attached to my key ring! 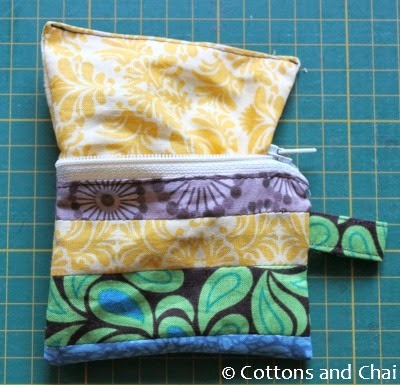 This is a great stocking-stuffer idea and a good way to use up some fabric scraps. 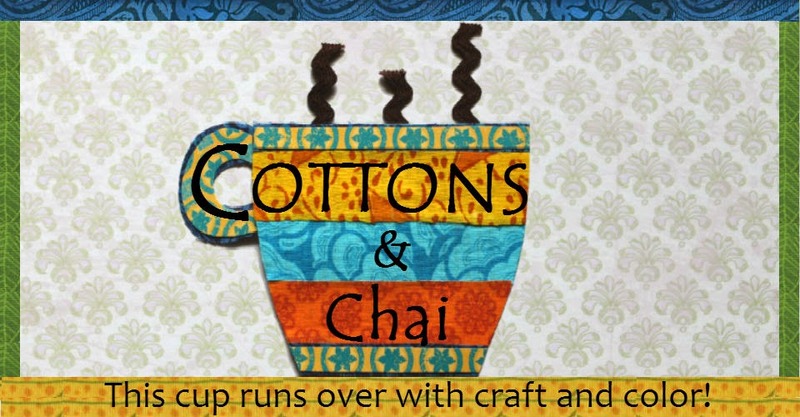 See you next time with another great holiday gift idea! That is one pretty purse!